With the unfortunate cancellation of the 2019 FIM Oceania Speedway Sidecar Championship last Saturday night (30 March) due to rain, Motorcycling Australia is pleased to announce that the event has been re-scheduled for next Sunday, 7th of April, to run alongside the FIM Speedway Sidecar World Cup. 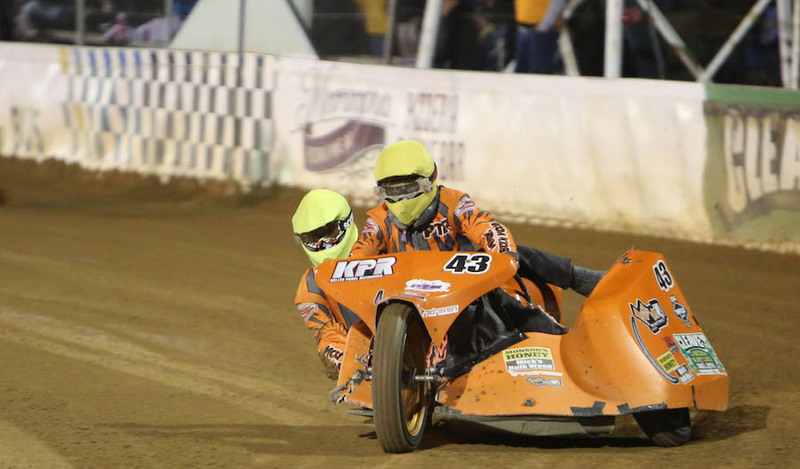 The re-run event will take place once again at Gillman Speedway, South Australia, as the region’s best Speedway Sidecar crews take care of the unfinished business from last Saturday’s rained-out event. With the Gillman Speedway track surface becoming unusable thanks to the intermittent weather throughout the night, last Saturday’s event was stopped after nine heats. The combinations of Warren Monson/Andrew Summerhayes and Mark Plaisted/Ben Pitt were the only teams undefeated in their two heats by the time the event was called off. Due to the event not reaching the required 12 heats to be officially declared, the slate will be wiped clean and the competitors will start a brand new event from Heat 1. The entry list will remain the same as the one planned for the original event, which means that Damien Niesche will not be running due to having withdrawn from the original event, instead Rick Stephens will once again take his place as reserve. Tickets for the re-run of the 2019 FIM Oceania Speedway Sidecar Championship (Sunday, 7 April) are available at the gate, with entry available from $15 for adults, $10 for concession, and children under 10 free. Entry to Practice will be free on the Friday night (5 April), gates to open at 3:00pm and practice will commence at 6:00pm.